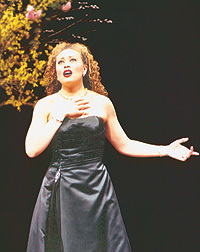 Soprano Alyson Cambridge ’02 was one of just four winners of the Metropolitan Opera National Council Auditions in April 2003. This prestigious competition has long been a place to spot major new operatic talent, and Cambridge—who at 23 was the youngest winner of the season—was invited to join the Met’s Lindemann Young Artist Development Program. Cambridge is just the most recent example of Oberlin Conservatory voice graduates who’ve embarked on high-profile careers. Carolyn Betty ’99 won the Met audition in 2002. Tenor David Miller ’95 and baritone Daniel Okulitch ’99 sang leading roles in Baz Luhrmann’s production of La Bohème on Broadway. Mezzo Marie Lenormand ’99 was featured in the world premiere of The Little Prince at the Houston Grand Opera. Other Oberlinians are joining the pantheon of more established divas and divos. 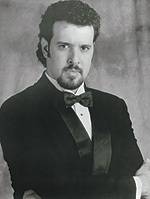 Tenor Franco Farina ’78, hon. 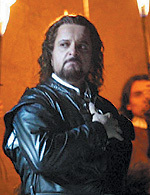 ’01, sings Verdi and Puccini in the world’s major opera houses. Soprano Lisa Saffer ’82 is at the forefront of contemporary and baroque repertoire. 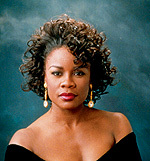 Mezzo Denyce Graves ’85, hon. ’98, reigns as Carmen and Dalilah. Derek Lee Ragin ’80 broke ground as a countertenor in European opera houses years before the Handel revival in Europe and the United States sparked the current popularity of the voice type. Because singers often mature later than instrumentalists, graduate schools and apprentice programs, rather than undergraduate institutions, usually take credit for producing artists. But Oberlin singers who’ve gone on to operatic careers cite the Conservatory’s teaching style and environment as vital in setting them on their course and equipping them for the challenging life of a professional opera singer. Oberlin’s quiet location and the presence of the College of Arts and Sciences, along with the Conservatory’s primary focus on undergraduate training, makes the school appealing to many singers. With relatively few graduate students competing with them for roles, Oberlin singers get considerable performing experience. Cambridge says that opportunity is a huge advantage. “Even though I’m the youngest person in the Met’s Young Artist Program, I already have stage experience,” she says. During her Oberlin years, Cambridge tackled such leading roles as Dido in Dido and Aeneas, Donna Anna in Don Giovanni, and Rosalinda in Fledermaus. Franco Farina says performing as an undergraduate made him more comfortable in using his voice as an instrument. Baritone Mel Ulrich came to Oberlin in 1991 as an Artist Diploma student and now has a busy career in the United States and Europe. He found that the performance experience increased his confidence. “All the performing, day after day—opera, recital, ensemble groups—really helps you move to next level,” he says. David Miller had planned a career in musical theater on Broadway, but singing in the chorus of La Bohème during his sophomore year changed his mind. Oberlin undergraduates perform opera roles under conditions that promote their artistic growth without straining or damaging their young—and still-developing—voices. Associate Professor of Opera Theater Jonathon Field, director of the opera program for the past six years, points out that students work with excellent conductors. In addition, while the operas have their full orchestral complement, the modest size of Hall Auditorium keeps singers from pushing themselves unnecessarily. Stage experience is only a part of the rigorous training that Oberlin singers receive. Professor of Singing Gerald Crawford, who has headed the Division of Vocal Studies since 1991, attributes students’ success to a combination of very high expectations from the faculty, comprehensive training, and an excellent applicant pool. That training starts with the technical vocal foundation, established in the voice teacher’s studio and built through hours of work in the practice room. Oberlin voice students do not spend all their time building vocal technique, however. The rigorous program requires them to take four semesters of theory and ear training, three semesters of music history, four semesters of piano, one semester each of Italian, French, and German, and diction classes in each of those languages plus English. They must also complete eight semesters of ensemble and 24 hours of liberal arts courses. The standards are high, but they pay off. Denyce Graves, for one, found the rigor essential.